A lot of single travelers do prefer to have a vehicle which is easy to drive, rock solid and also straight forward to handle. 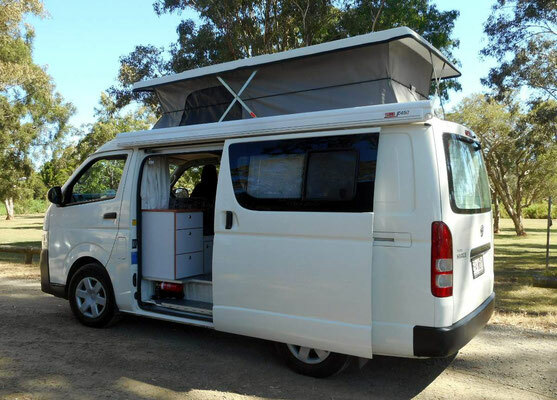 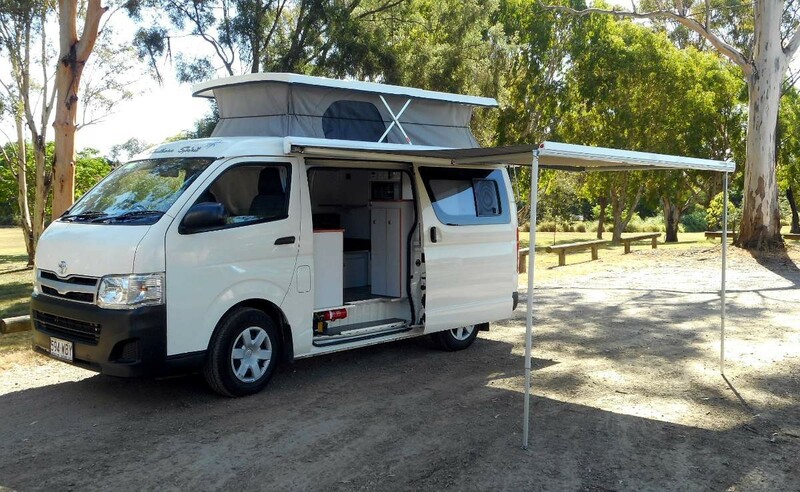 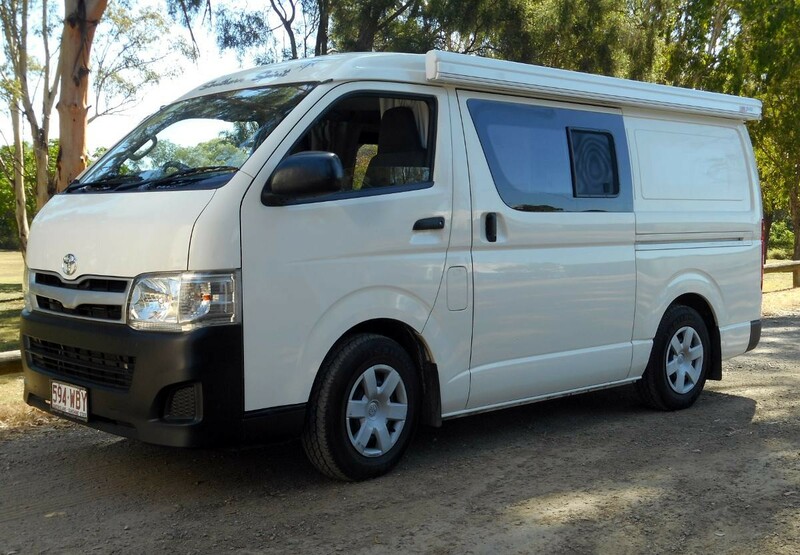 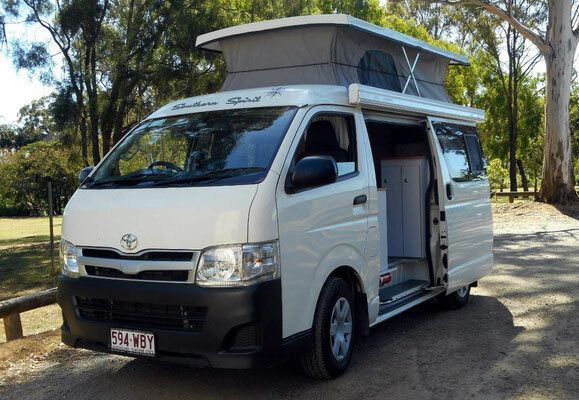 The legendary reliable Toyota Hiace is therefore a ever so popular choice when its coming to smaller campervans in Australia. 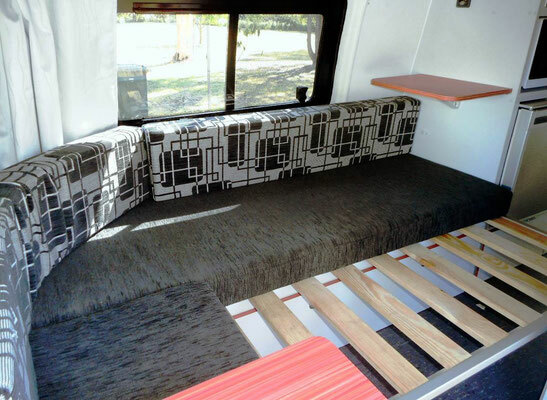 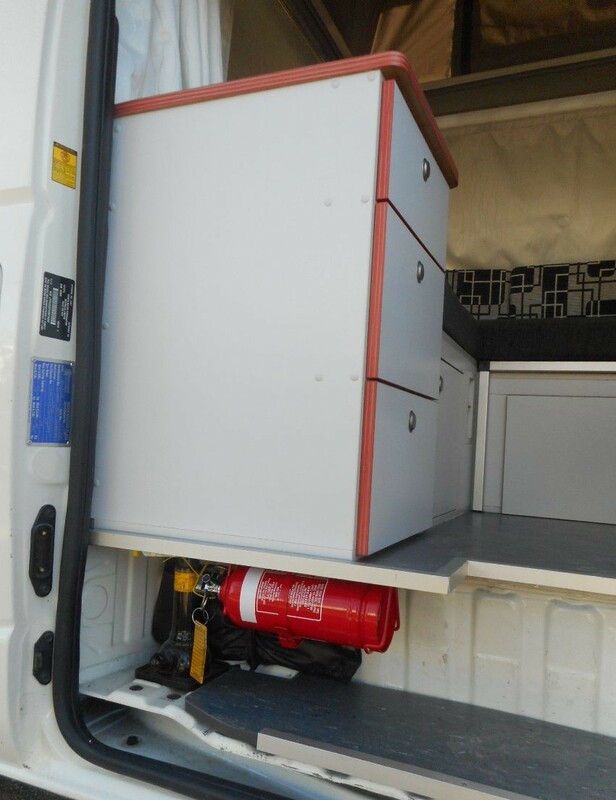 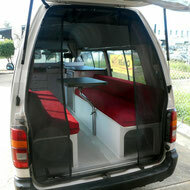 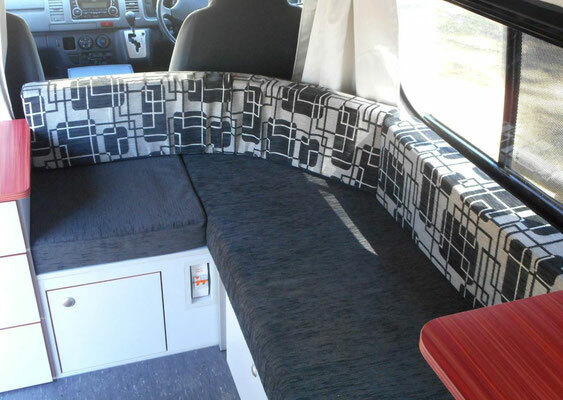 The drawback in many standard Hiace camper conversions is, that they lack inside regarding multi functional appeal and storage space. 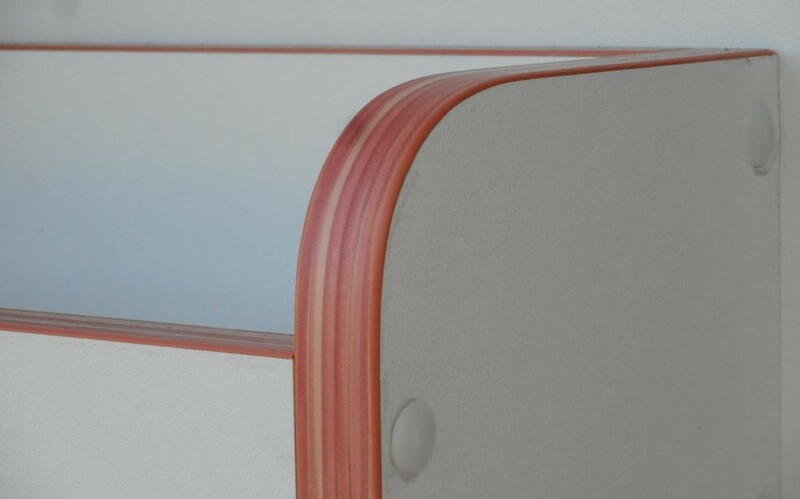 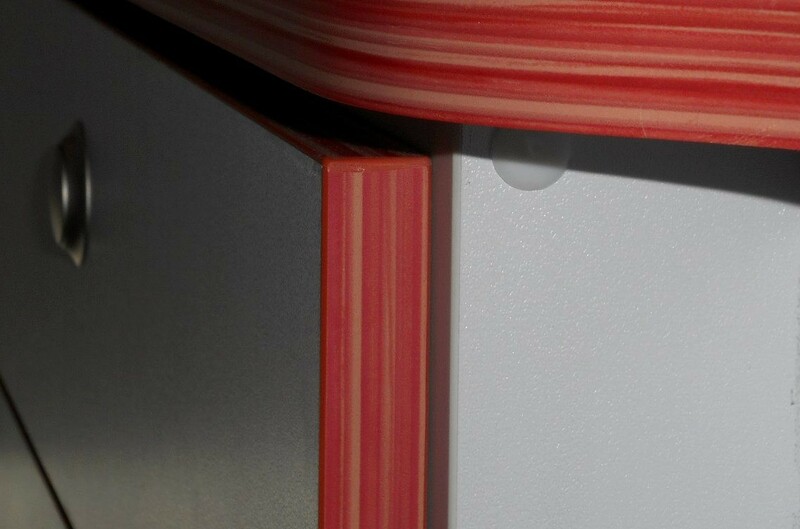 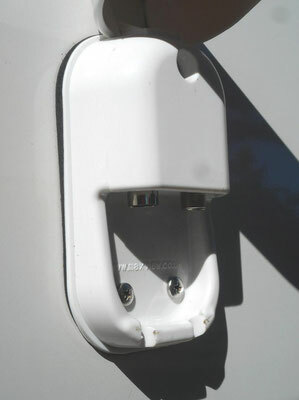 Our goal was to show that this issues can be waved away. 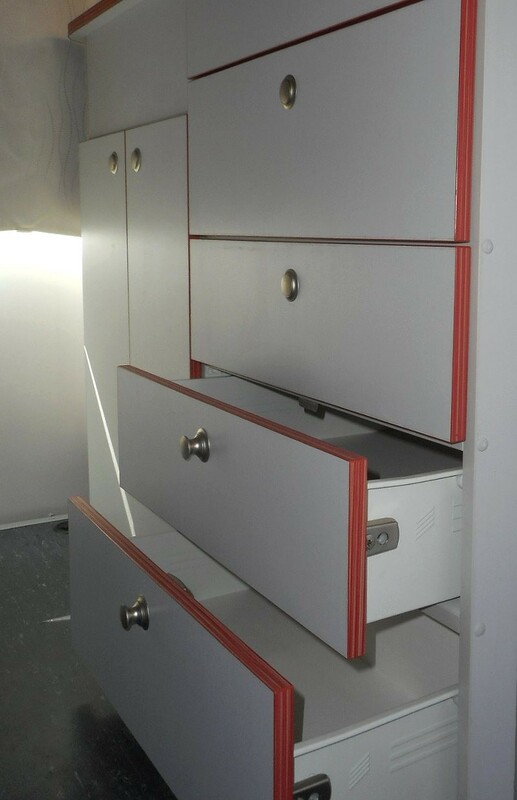 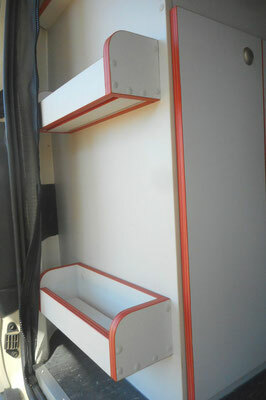 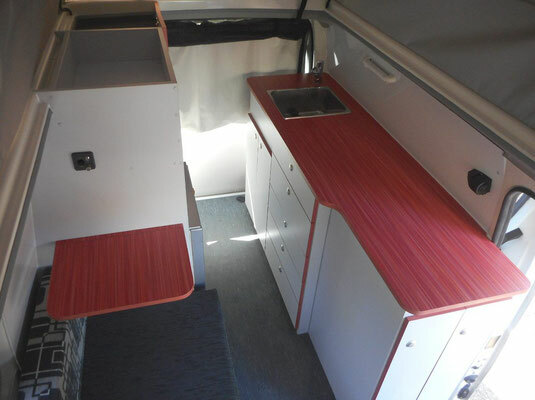 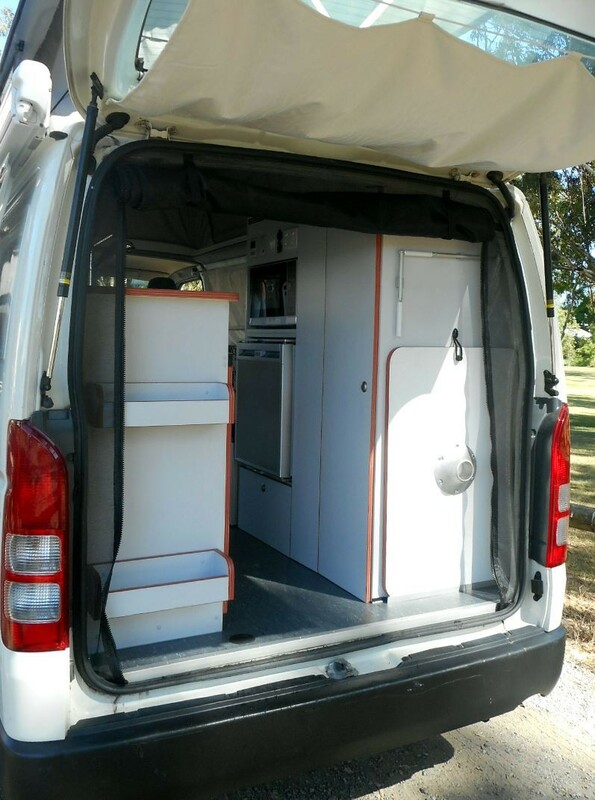 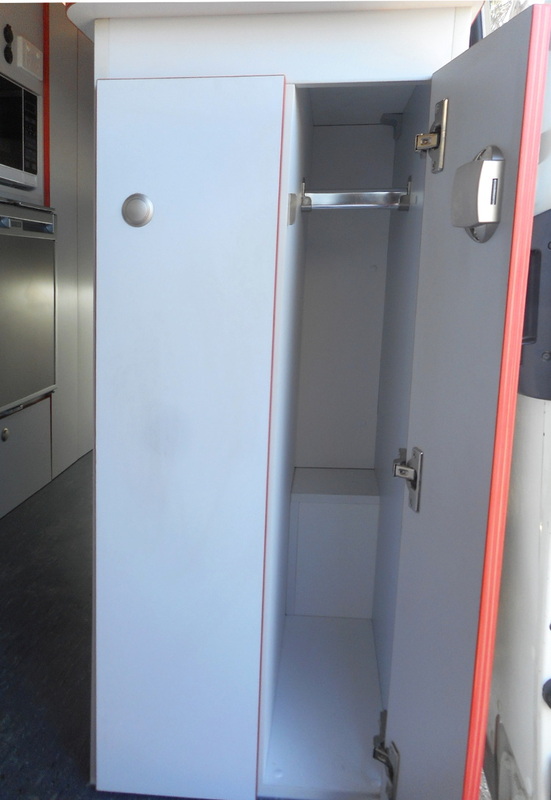 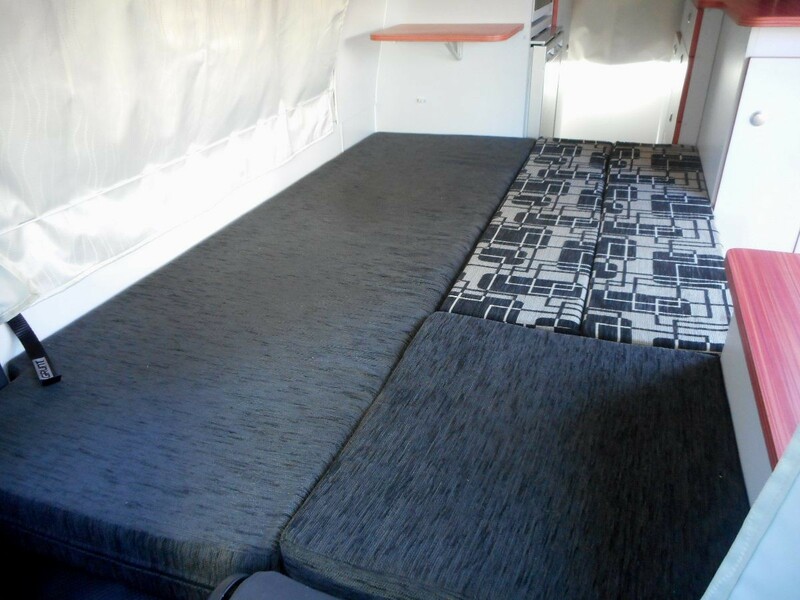 We developed for a single lady traveller a van which not only has 7 different sized Hettich drawers, a pull out pantry, storage space all under the bed and plenty of kitchen space- it also features a small and a very large wardrobe. 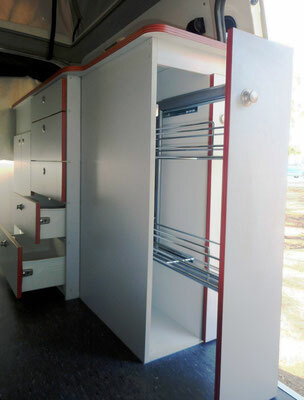 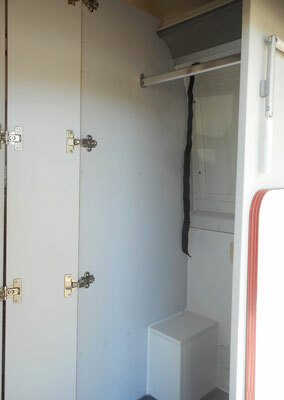 The large wardrobe can be also used as storage room for larger items. 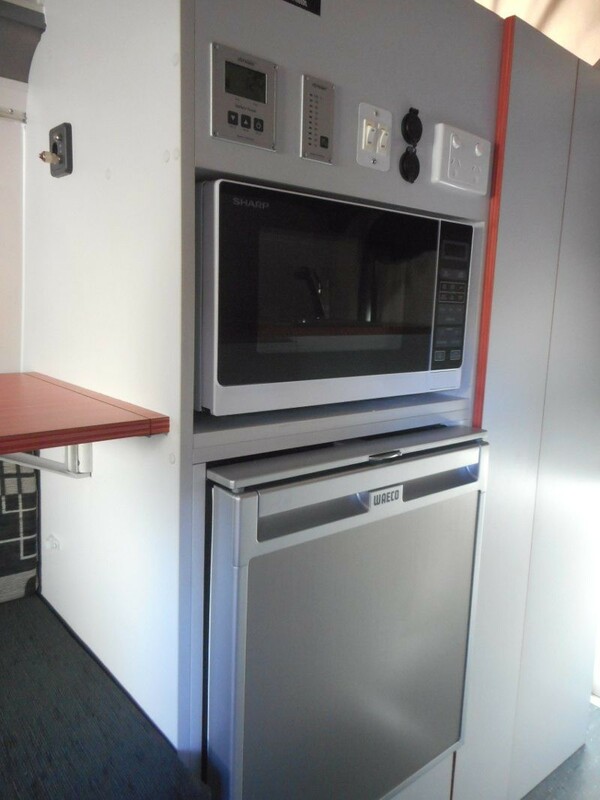 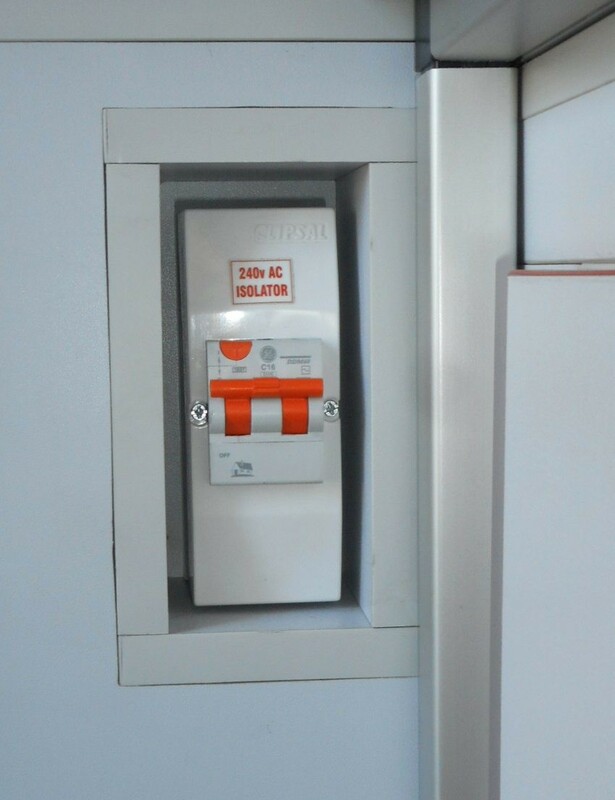 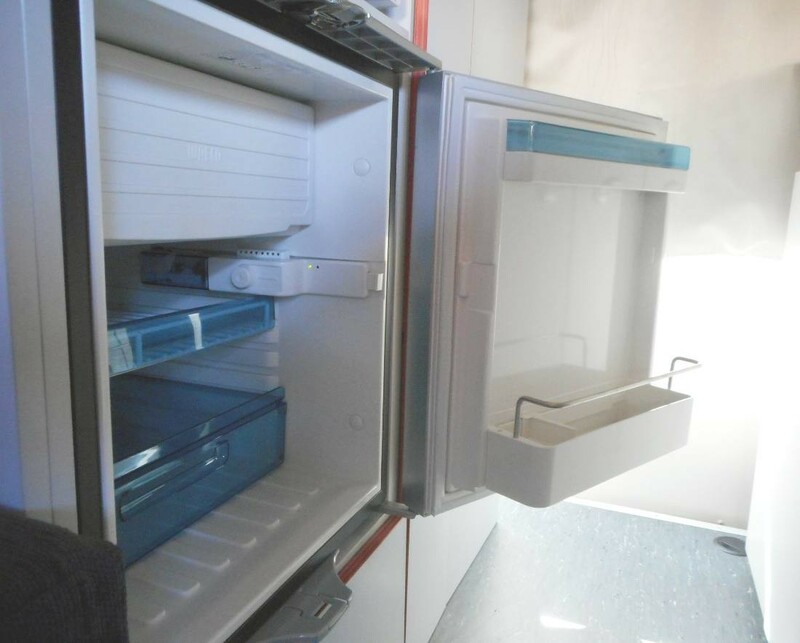 The fridge is located in a elevated position- so easy to reach, with a microwave above and monitor panel and control boards in ideal position to see and operate. As cooking inside is only planned for emergencies- the portable Origo stove is tucked away in one of the kitchen drawers. 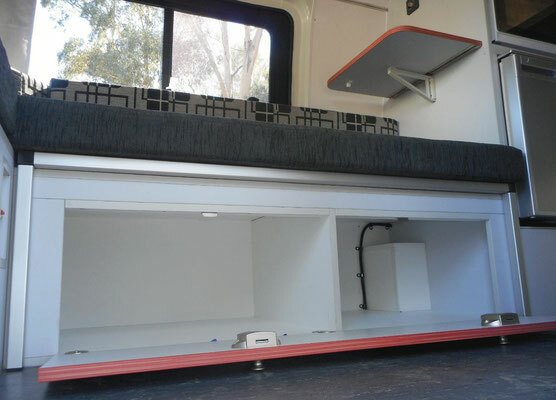 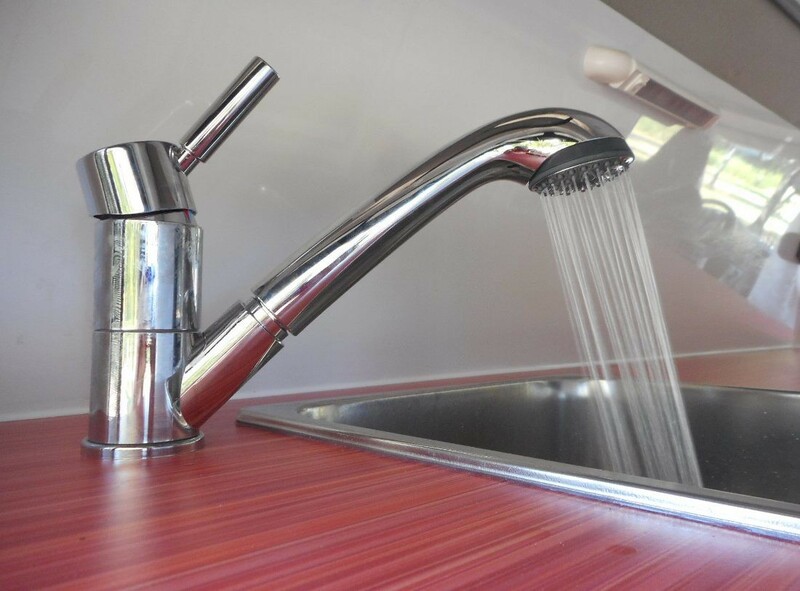 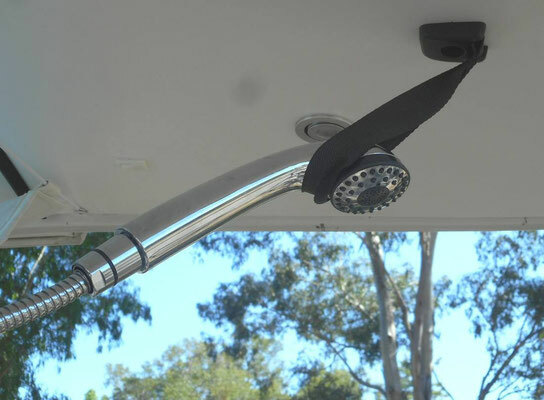 Practical use- such as the day lounge, which can be used also as single bed or can be easy pulled with one finger to extend to a double bed, double use of the sink tap as pull out outdoor shower. 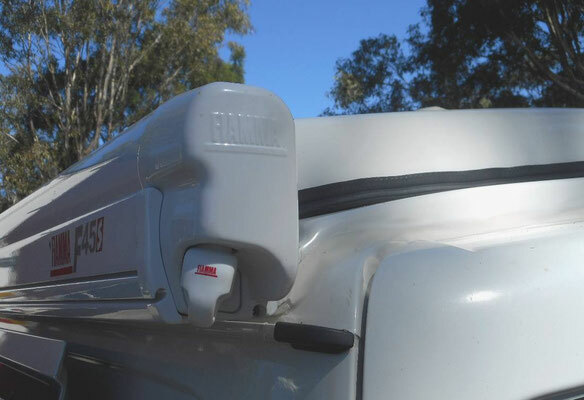 The 12V system features a slim line roof solar panel feeding a large 120A house battery and inside a Votronic battery monitor gives precise informations about how full the AGM battery is and monitoring the actual consumption. 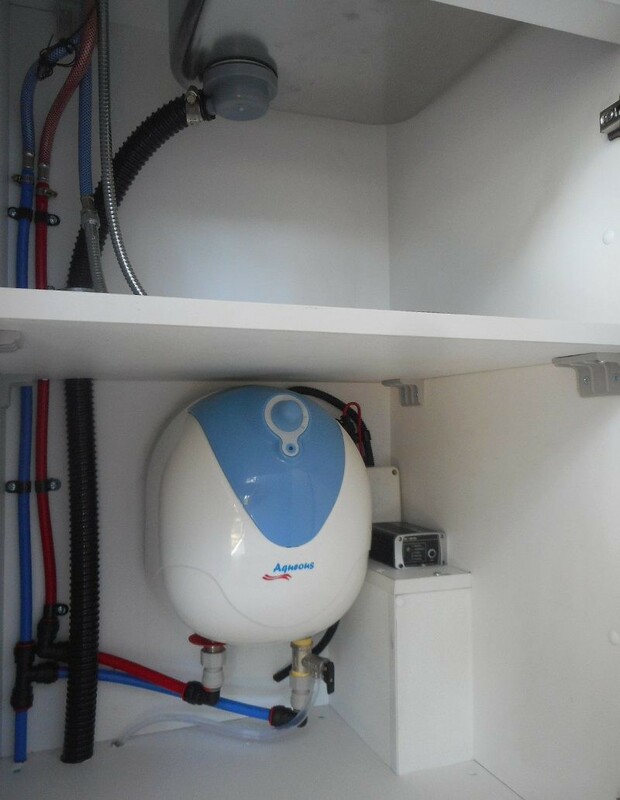 Same does the accurate Votronic probe and monitor for the watertank. 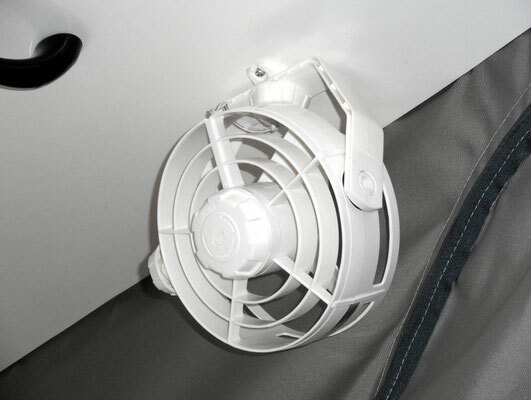 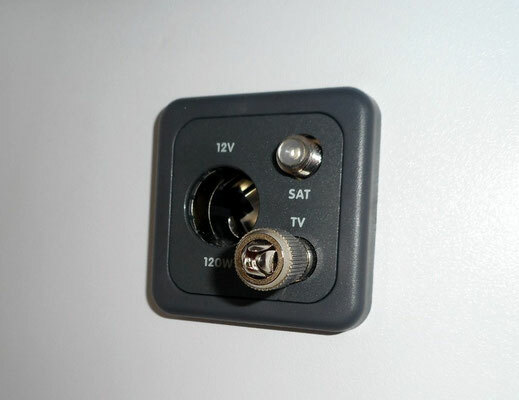 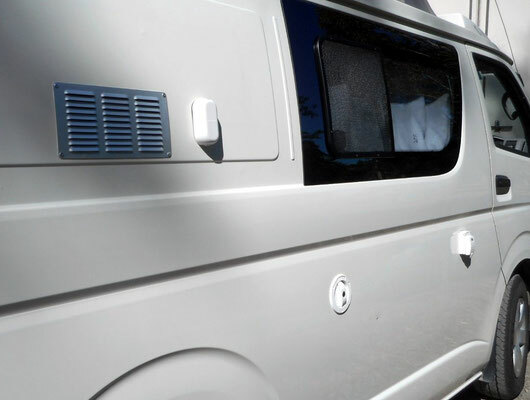 The van is TV and outside antenna ready, as well you find on the outside a access hatch with a Anderson plug for a later on option to hook up the easy way a portable solar panel.